Ava is a palindrome. It looks the same coming from any direction. 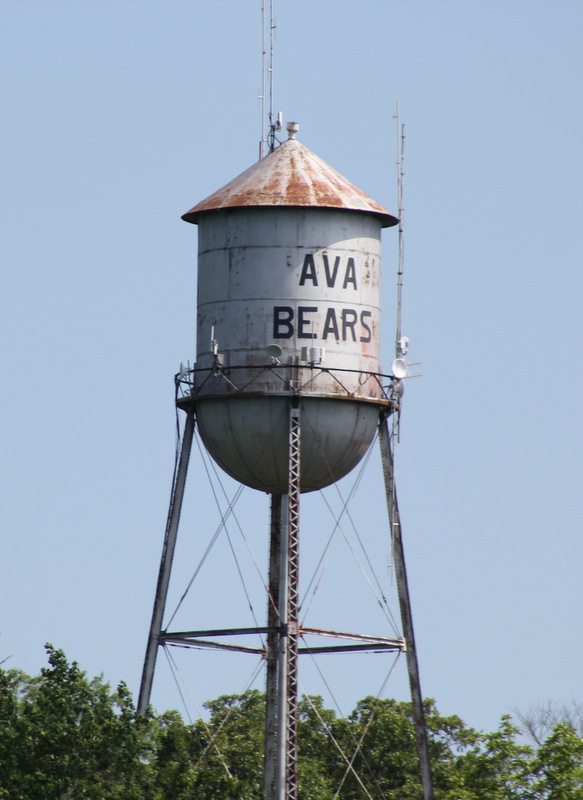 The water tower sits atop a hill off the center of town, shouting “Ava Bears” from its steel sides. This garden spot in the middle of the Mark Twain Forest missed a fun opportunity to call the school team the Ava Gardeners.